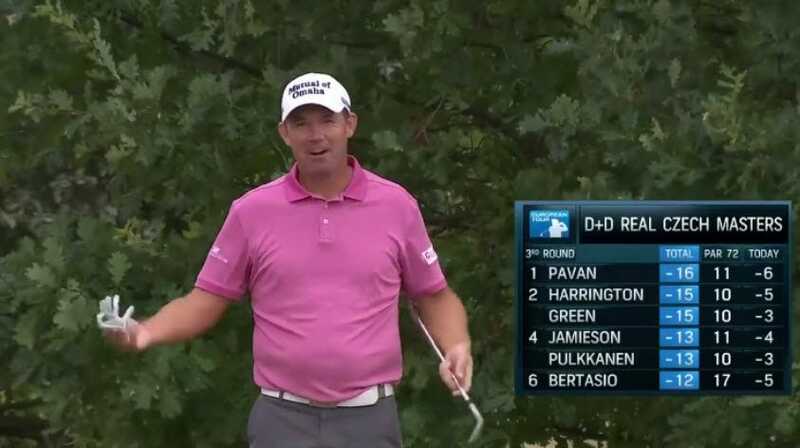 European TourPádraig Harrington really had to go pee. Padraig Harrington finished second at the D+D Real Czech Masters on the European Tour over the weekend. On the 11th hole during the third round, the three-time major champion decided he really had to go to the bathroom. Following his approach shot, he took off in search of some privacy, only to realise that the broadcast camera was still on him. Harrington hilariously pleaded with the cameraperson to “go away” as the announcers laughed. The story does have a happy ending as it appears Harrington eventually found some alone time before winning €111,110 (US$130,000). Here is the video, via the European Tour.